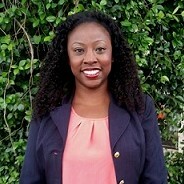 Dr. Rachel Bryant was raised in the Washington DC metropolitan area; she has spent a significant amount of time in Atlanta, Georgia and considers Atlanta her second home. She obtained her Doctorate in Psychology from Georgia School of Professional Psychology at Argosy University, her Master's in Professional Counseling from Georgia State University, and her Bachelor's degree from Spelman College. Dr. Bryant is a Licensed Professional Counselor- Harris Fellow in Infant Mental Health. Dr. Bryant is passionate about providing services to under-served and marginalized communities and is extremely dedicated to increasing mental health awareness in these communities. Dr. Bryant is especially committed to dispelling the stigma associated with seeking mental health treatment, particularly in the African-American community. Dr. Bryant has worked in a variety of settings including children's shelters, community agencies, psychiatric hospitals, and residential facilities. Dr. Bryant has extensive experience in psychological assessments and is proficient in completing psychological evaluations for a wide range of presenting concerns. Dr. Bryant has a very positive relationship with her patients. She is also a strong patient advocate and often assists in connecting them with community resources. Dr. Bryant has training and experience in a variety of presenting issues including Depression, Anxiety, Trauma, Mood-related disorders, and Domestic violence. Dr. Bryant does not ascribe herself to one specific orientation and insists on providing individualized treatment that will best fit the needs of her patients. Her interventions include but are not limited to play therapy and solution-focused therapy. Dr. Bryant also utilizes spirituality and faith-based interventions. Dr. Bryant enjoys working with children, adolescents, and adults.